That’s always the first input I get from a client when they sign up for weight loss. And I don’t blame them: websites and nutritionists have made ‘low-carb’ a buzz word for weight loss. Carbs are painted as the villain for those extra pounds. And lost in the haze of such misleading advice, people eliminate this vital nutrient and invite a mountain of troubles including – insomnia, constipation, mood swings and hair loss. To avoid falling into this vicious trap, you must understand that carbs are your friends; they provide energy for every task you do. All you need to do is learn how to make the right carb choice and eat in the right amount. 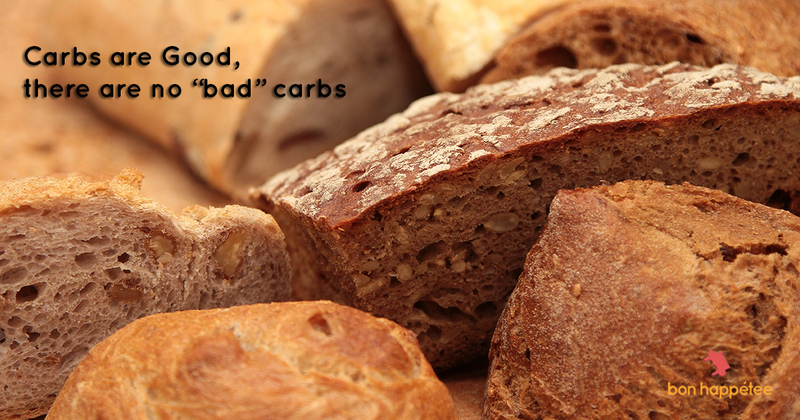 Now bakery products and desserts, loaded with refined flour and sugar, are the carbs you should avoid. These foods have a high-glycaemic index i.e. they result in an instant spike in blood sugar levels, which causes the pancreas to produce more insulin. The excess insulin converts all the surplus sugar into fat. That said opting for the healthier choices – rice, roti, multi-grain bread – can result in weight gain if you overeat. But if you drastically reduce your carb quota, you’ll feel hungry soon and end up gobbling much more than you would have in the first place. Also, it would be near to impossible for you to say no to chips or cookies on an empty stomach. The bottom line is – you should not exceed nor fall behind your carb intake.